Just recently, my sister got into selling eyelashes with a brand named Wispies and I have fallen in love with them. Don't worry, I am not being bias and my sister knows that very well. If something is good, then it deserves the attention it needs. Selling at only RM8 per lashes, you have a wide selection to choose from! Whether you are looking for a natural, hyper winged, high definition, or even a volumized eyelash, NDWISPIES has them all. Just send her a DM, to confirm the pair's availability. 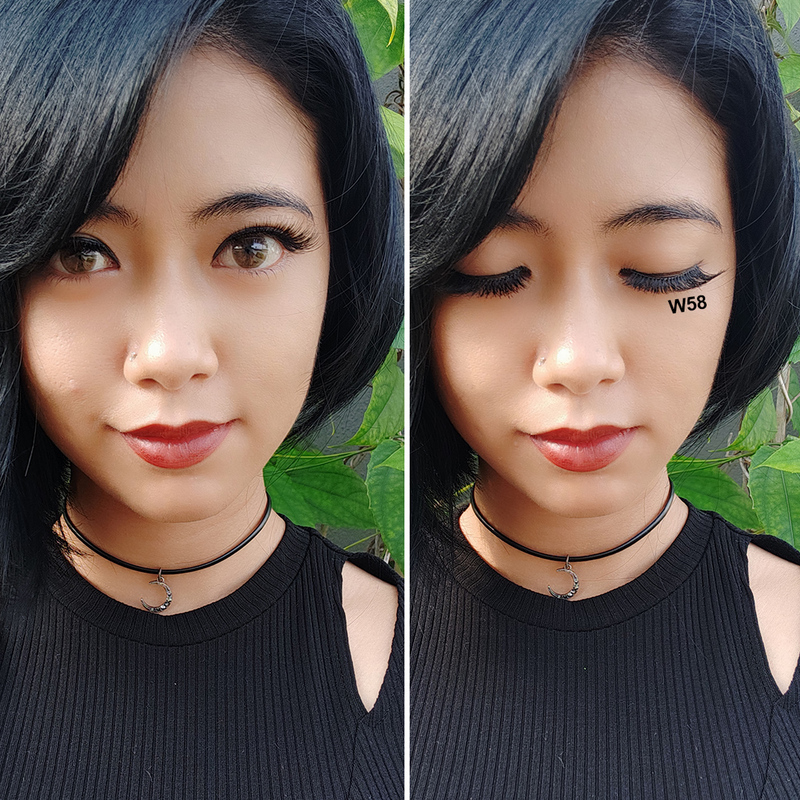 After looking through her Instagram for a good 20 minutes, deciding on which eyelash I should get, I finally settled down for D05 and W58. 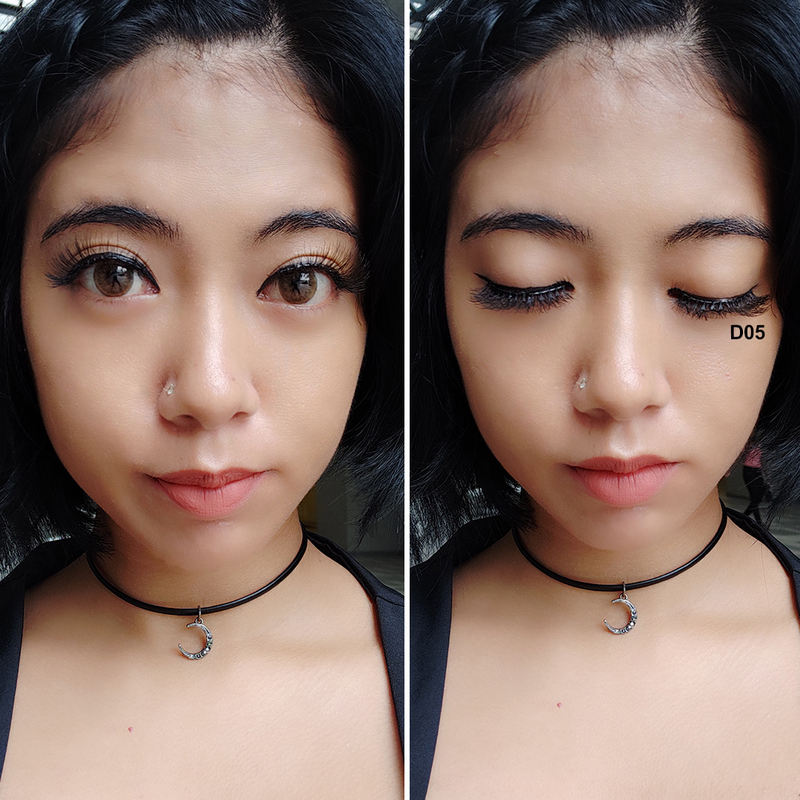 Personally, I preferred the W58 lashes at first, but after seeing the difference of how I look like when wearing both of the lashes, I would have to admit that I became a little more bias towards D05. It definitely gives a more natural lift to my eyelashes, as I do have thick eyelashes to begin with. Probably one of the reason why it's more natural-looking is because the eyelash itself combs up in 3 different directions. 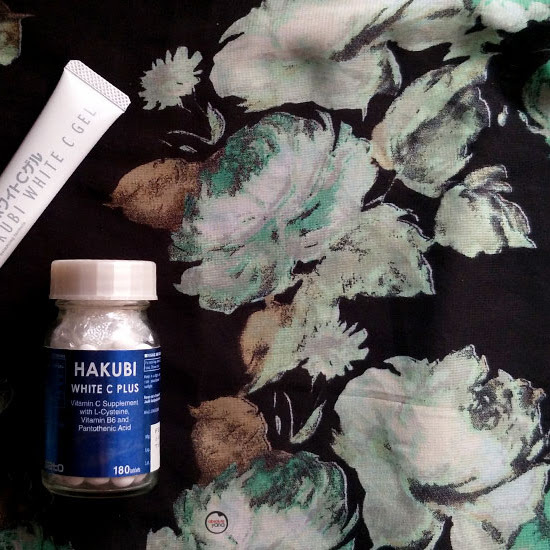 Instantly giving my eyes the extra lift and definition that it needs. As for the W58, it comes in really handy when I want a cat-eye look. Actually, I don't even have to use an eyeliner to trace the outline when I am using W58 lashes. 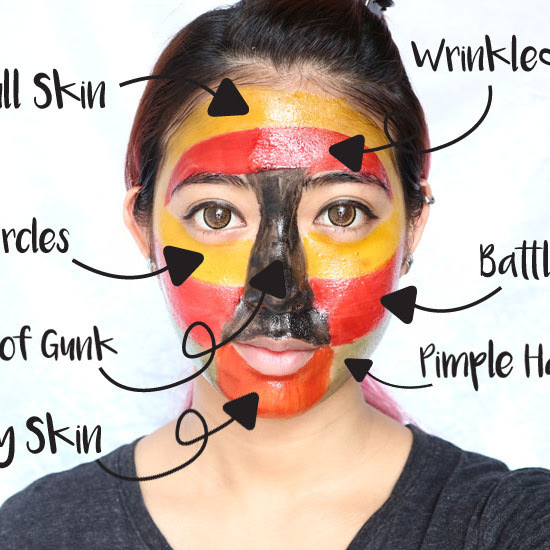 All I need to do is to use a brush or pat a darker shade of eyeshadow on the edges of my eyelid, and almost instantly, I will look like I have cat-eyes. That could have been the reason why I initially preferred the W58; as I really love to pull off the cat-liner look. Both of the lashes were easy to apply, as the bands were soft and easy to adjust to the shape of my eyelids. And it doesn't feel as heavy as the eyelashes that I previously bought from Daiso. I am looking for another 3 more eyelashes to kind of complete my set of eyelashes. As soon as I get my hands on the other 3, I will update this post again; so do stay tune. 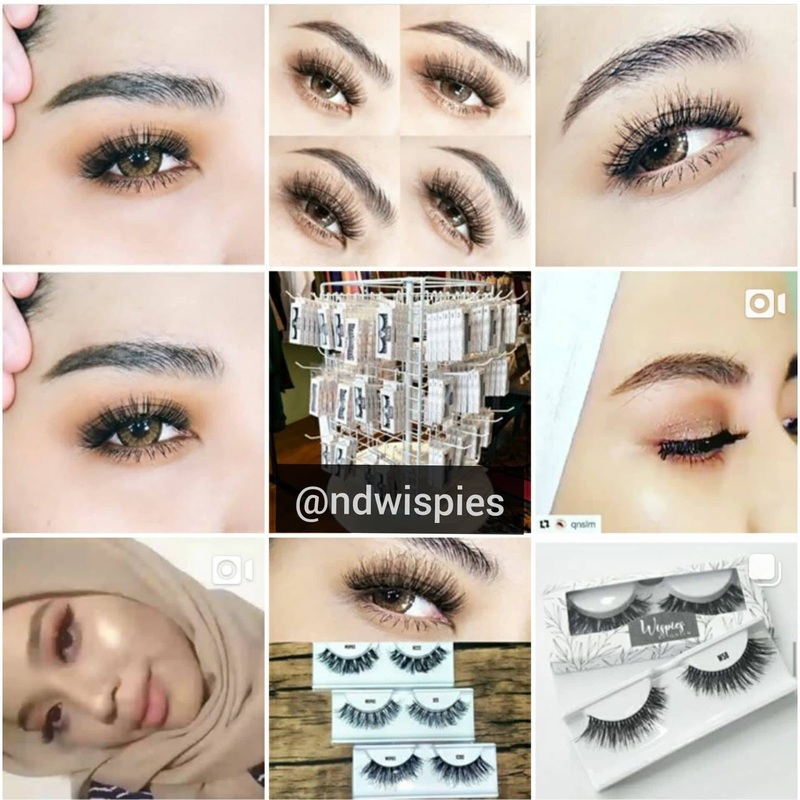 If you'd also like to order a few eyelashes of your own, don't forget to follow NDWISPIES. 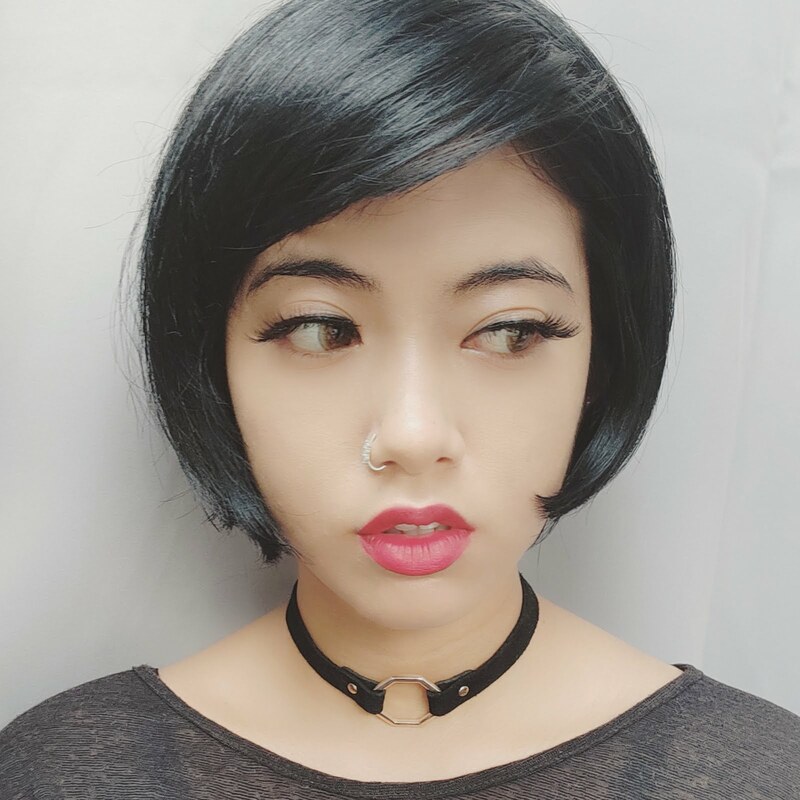 Suka tengok orang pakai bulu mata palsu ni. Tapi kita kalau pakai macam nampak pelik je. Mungkin tak biasa. Lawa la awak. Harga dia pun murah je kan.. I must agree with you. I like that W58 better than the other one. W58 makes your eyes like a doll. so pretty! wow is very good when you wear it looks neat and is sticky in the eye. Looks like a long and stylish hehehe if Che Ta looks for him to buy 10 sets of this .. I dont know how to use the eyelashes. Hahahah. Last and first time I apply were during my wedding day! Hahaahah. I never try it by my ownself. Next time can try because it looks good and nice. 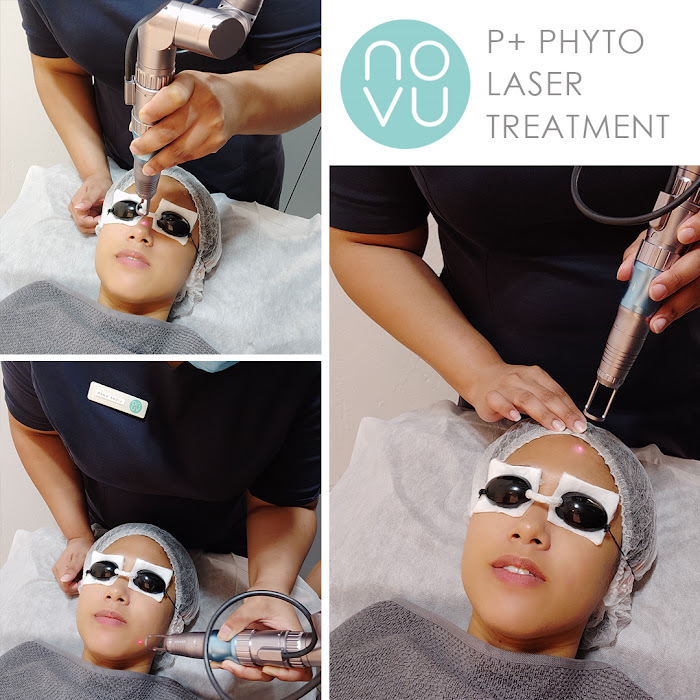 It make us pretty and gojes! Nice. But i am not good in wearing fake eyelashes. In my whole life i only wore it twice and twice also it came off even before the event ends. I guess I should learn how to wear it properly. The eyelashes looks natural. Love the W58, you looks great and beautiful!